- A lightgun to support ALL SCREENS, include LED / LCD / Plasma / Projector / CRT. - Compatible with MAME™ and more than 100 Flash games. 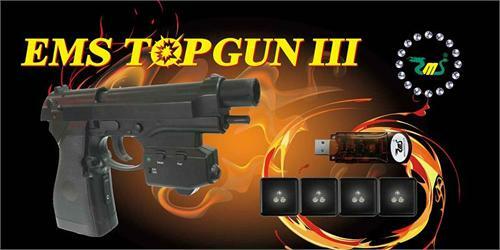 - Provides POINTER and RECOIL function. - Provides Auto-Fire / Auto-Reload mode. - Recommended screen size : 14 – 120 inch. * For PS2™ / PS3™, only GunCon2™ compatible games are supported.